Duggy—The Smile in the Sky! 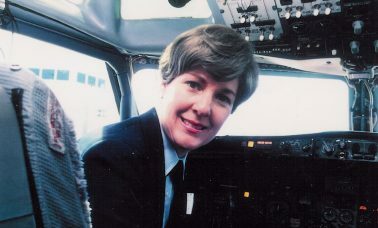 “Duggy, The Smile in the Sky,” is the “spokesplane” for the National Aviation Hall of Fame’s SkyReach educational program. Wearing a brand new bright yellow paint job, and a smiley face, Duggy also draws curious adults, and older veterans who either flew in a C-47 or crewed on one. And, what better way to attract children than to have a cartoon character airplane. Best of all, Duggy is exciting children who get a chance to go inside one of the most famous airplanes in history, the Douglas DC-3. Duggy, who made his debut earlier this year at Sun ‘n Fun, in Lakeland, Fla., was the childhood dream of Columbus-based artist Mitch Carley. Carley was 12 years old when he was given a class project: “What do you want to do when you grow up?” His dream was partially to decorate airplanes. “And I wanted to fly around the world in a DC-3,” he said. 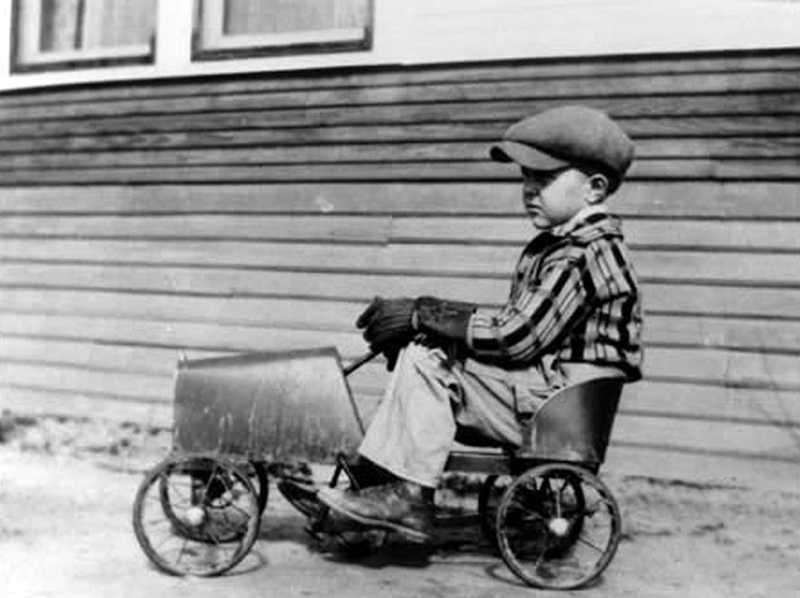 As an adult, he started to make his dream come true. He went on to become a creative executive in advertising, and worked on national brands ranging from fast food, to sports television, and children’s networks. But he always kept Duggy the DC-3 in his mind’s eye. 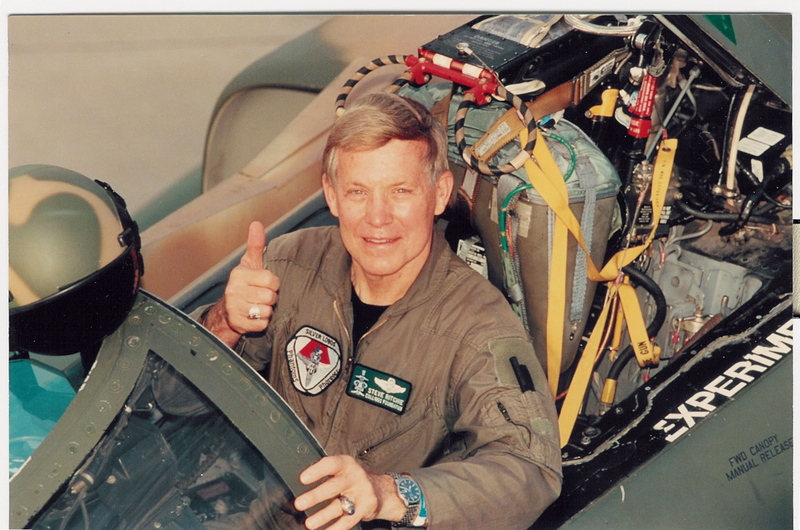 Throughout the sixties and seventies, Carley attended air shows, where he fell in love with vintage aircraft, and the people who brought those machines to life. Creating cartoon versions of these famous aircraft, especially warbirds, became second nature to Carley. He even developed a story line for Duggy and his flying friends, one that he shared eventually with his own two sons and a few others. Kaplan knew Carley for years, and acted as the catalyst for the confluence of several dreams becoming a reality. 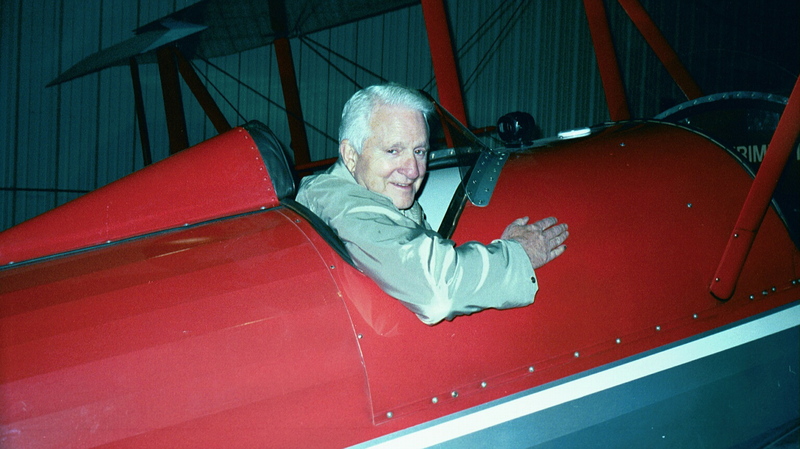 Kaplan also had a friend, Robert Odegaard, a pilot and a DC-3 owner, who he had met through the NAHF’s partnership with the Rolls-Royce Aviation Heritage Invitational, won by Odegaard’s Super Corsair in 1999. 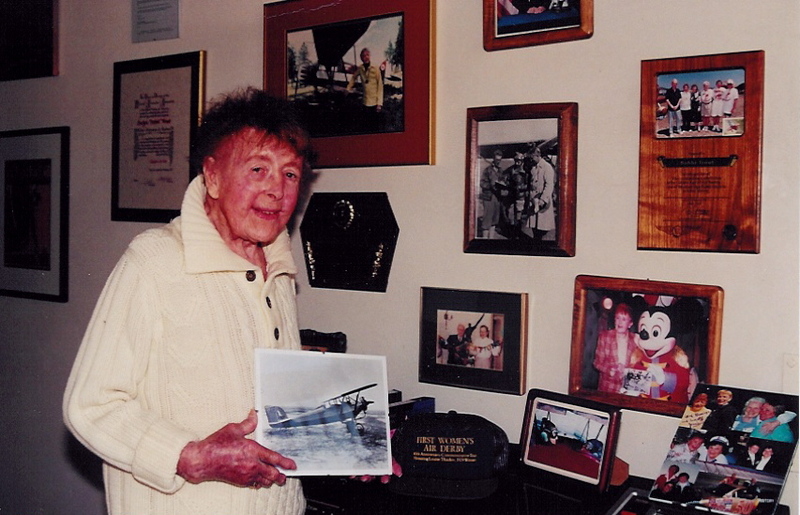 Odegaard had a dream to start an airplane museum for children. 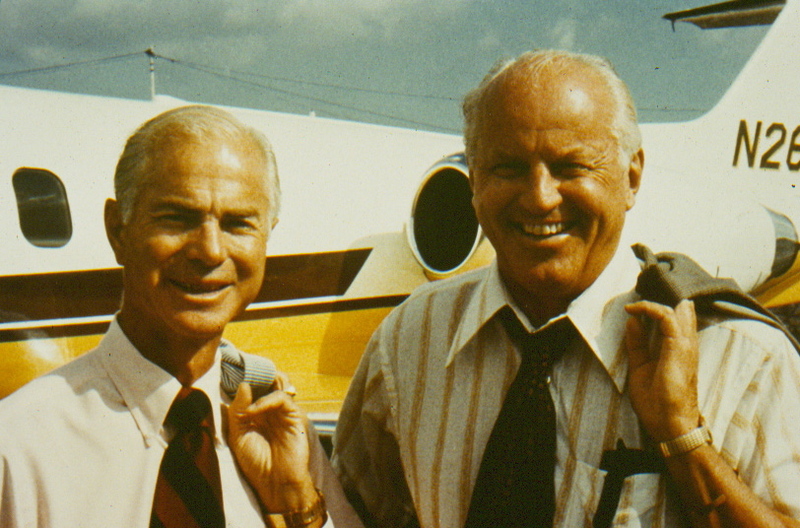 Kaplan also had a vision, for the NAHF’s SkyReach educational program. When Kaplan brought Carley and Odegaard together, things began to happen. Together they brought Duggy the cartoon off the pages and to life. The Douglas DC-3 type has been flying for 70 years come this December 17. It was the first airliner to make a profit flying passengers alone, and General Dwight Eisenhower said it was one of the four pieces of equipment that helped win World War II. Duggy was built as a C-47 in September 1942. It went to Australia, and served in the Pacific Wing of the Air Transport Command until the end of the war, when it was sold as war surplus to Wien Air Alaska, in December 1946. In February 1950, the airplane was purchased by the Canadian Department of Transportation, and registered as CF-DOT. It remained with the Canadian DOT until Harry Thompson and Robert Odegaard purchased it and restored it to the original colors of a North Dakota Air Guard C-47, in 1998, and registered it as N1XP. In 2004, it was reconditioned, named Duggy, and painted by SkyHarbour in Canada. Wearing a brand new bright yellow paint job, and a smiley face, Duggy draws attention from youth, curious adults, and older veterans who either flew in a C-47 or crewed on one. “Duggy and his friends” is a project created from Mitch Carley’s cartoon characters. “We think Duggy and his friends engage the kids, and act as character builders that teach kids of all ages how they can learn from the past, and dream for the future, and know that anything is possible!” said Kaplan. Currently there are five other Duggy friends. All are licensed to the NAHF, and, more are planned. 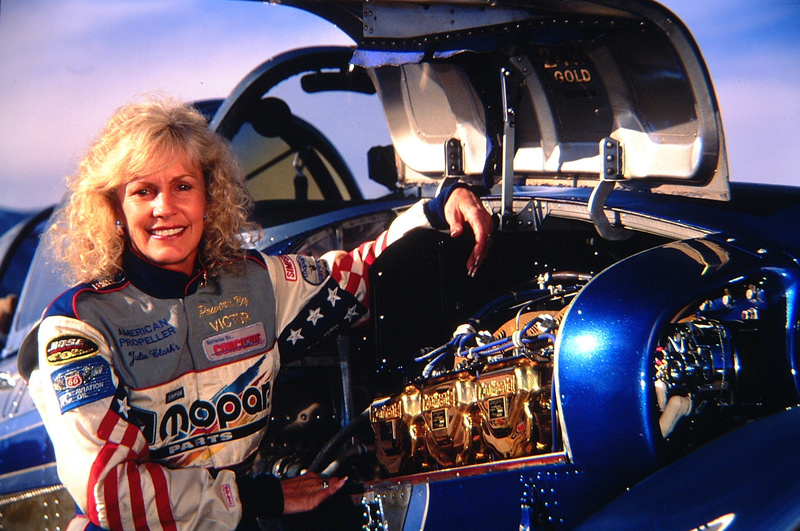 “Duggy highlights some of our nation’s aviation legends, and how they confronted the same issues that kids today face every day, such as trouble with friends, having a hard time with school, or just having too much to do in a day,” said Carley. The characters present a colorfully engaging history of flight, while also offering compelling examples of individuals doing the right thing. Among those individuals that have faced those challenges, and countless others, are the Wright brothers, Harriet Quimby, Amelia Earhart, Charles Lindbergh, the Tuskegee Airmen and many more. Duggy and his friends represent these and other great aviation pioneers of the last 100 years. While Duggy is the star of the show, the other cartoon characters representing some of the NAHF 180-plus enshrinees include “Flyer,” a celebration of the Wright brothers. Flyer also pays homage to all of the innovators and dreamers of that era, from Charlie Taylor to Lincoln Beachey. 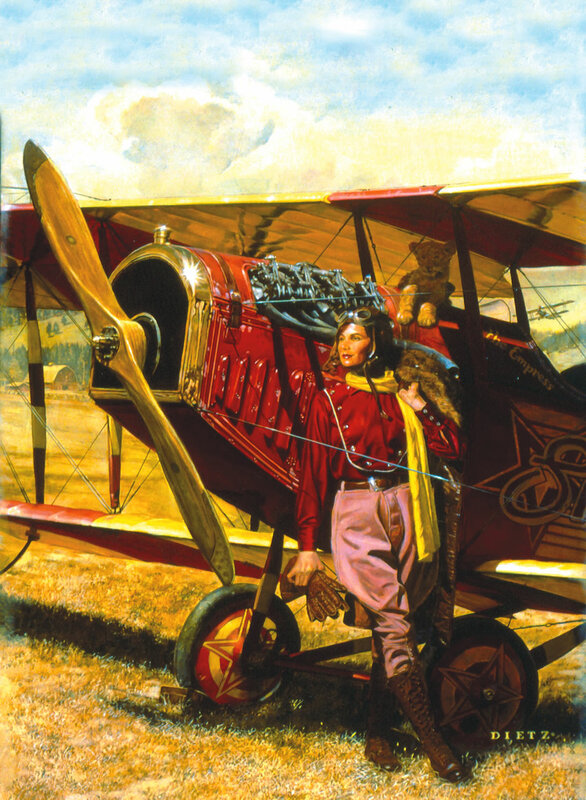 “Jenny,” the World War I trainer and barnstormer, pays tribute to such courageous flyers as Eddie Rickenbacker, Benjamin Foulouis, Frank Luke and David Ingalls. “Tusky,” a red-tailed P-51 Mustang, pays tribute to Tuskegee Airmen Benjamin O. Davis, Chappy James, and the other brave aviators of WWII. L to R: Harry Thompson, Bob Odegaard, Ron Kaplan and Mitch Karlan pose proudly in front of Duggy. “Glennis” is the X-1 dubbed “Glamorous Glennis” by pilot Chuck Yeager as a tribute to his wife. “Lem,” the Lunar Excursion Module, honors the courage and innovation of men such as Neil Armstrong, Buzz Aldrin, Dr. Robert Gilruth, Deke Slayton, Pete Conrad and all those who dreamed of pushing the envelope of knowledge and experience. 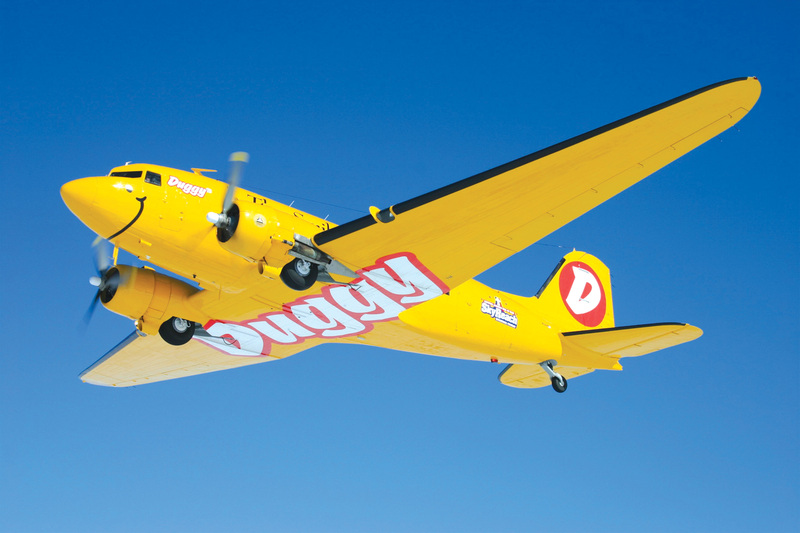 Duggy, of course, represents the Golden Age of Aviation, and honors Donald W. Douglas, who headed the team that designed and built the DC-3, as well as William Boeing, Juan Trippe and Howard Hughes, among others, who are also enshrinees. 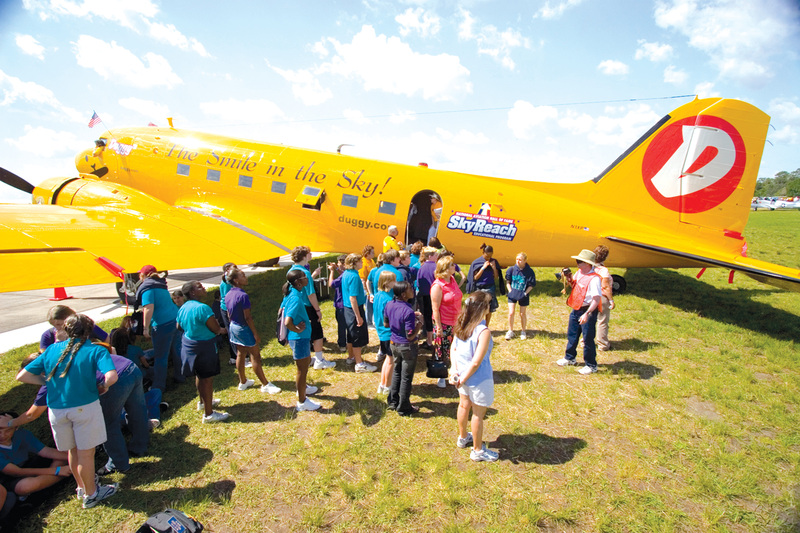 While the cartoon characters are airplanes, Kaplan said the character-based education program is designed to introduce children to the hall of fame enshrinees. The program includes books in which Duggy and his friends explore stories about the NAHF enshrinees. “Character Counts” lessons examine the character traits of the astronauts, war heroes and others. Activity sheets, lesson plans, an animated series, as well as a merchandise line are all part of the program. Eventually Duggy will be a traveling exhibit with the interior of the airplane lined with relevant history and imagery. Kaplan sees the message the Duggy program is delivering as adding value for adults also. “Corporations can build better and more skilled work forces, and teachers can add life to otherwise dry subjects such as math and science,” he said. Mitch Carley agrees. “So many other great organizations do an excellent job of teaching the physics of flight, or teaching people how to fly, or getting them interested in engineering or the technological side of aviation as a career,” said Carley. “But something that could and should appeal to everybody is better citizenship and getting there through character development. Carley said Duggy is “everyone’s’ best friend. Since Duggy’s debut, Kaplan has air show promoters lining up to get Duggy and his unique education program to their show. 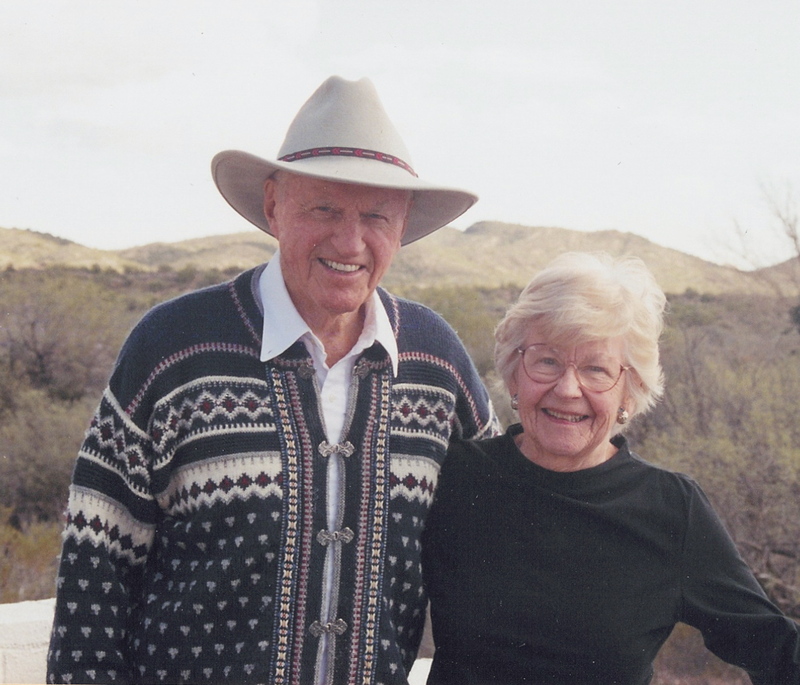 The NAHF is the only organization federally charted to preserve the histories of America’s air and space pioneers. This, however, doesn’t mean the program automatically gets federal grants. “In effect, we’re looking for partners, not sponsors,” said Kaplan. “We seek appropriate corporate and philanthropic support. For starters, we do not want to make Duggy a flying billboard. We offer our partners opportunities to have their name modestly positioned on Duggy. However, the partnership can go deeper than their name on the fuselage. We can associate them prominently with the printed material we hand out at shows or in schools, they can be part of a local coupon program, we can do cross-promotions and in-store appearances. It can really get quite creative. 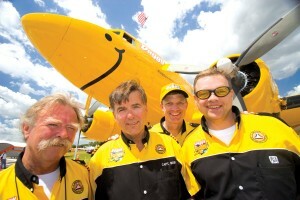 For more information on Duggy’s air show appearances and sponsorship opportunities, visit www.duggy.com. 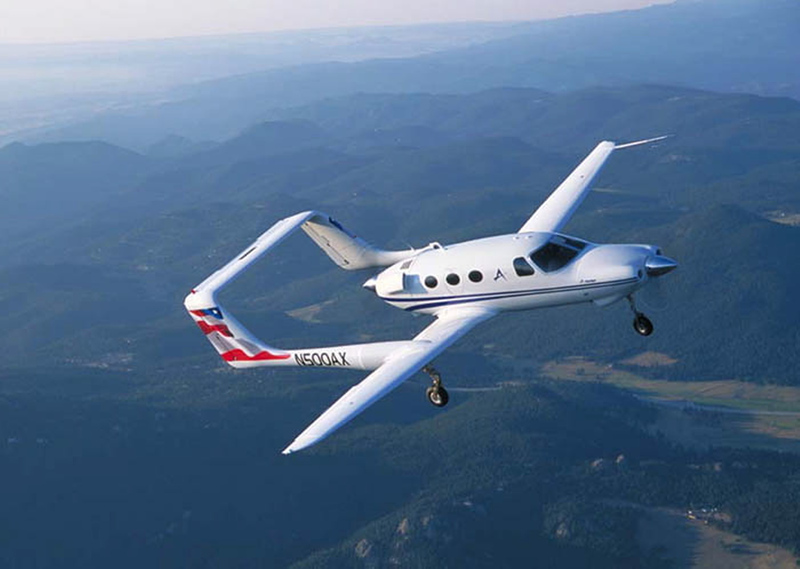 For information on the NAHF SkyReach Educational Program, visit [http://www.nationalaviation.org].